One of the most important things when learning something new is not being afraid to ask for advice. 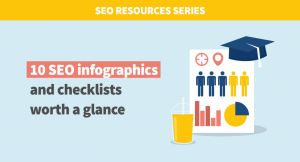 It applies to learning SEO as well – all the information, trends, techniques and (often contradictory) opinions may be really overwhelming for a beginner. Therefore, we have researched and listed the most popular SEO knowledge hubs that are worth joining if you have an SEO-related question that you can’t find the answer to or just want to dive into the knowledge base created by the community of people interested in Search Engine Optimization. Everyone was a beginner once, so believe it or not, many people advanced in Search Engine Optimization are more than happy to answer your questions, or at least point you in the right direction. be polite: show your gratitude for the ones who found some time and answered your question. They expected nothing in exchange, so your “thank you” is the least you can do. be patient: don’t expect the others to answer immediately and do not spam the place with the same question over and over if nobody answers. There are many great SEO Facebook groups that can be a perfect source of actual know-how and a great place where you can ask your SEO-related questions. To join most of the groups, you need to send a membership request that has to be approved first. This may take a while, but in exchange, you will get an access to some well-moderated SEO groups that are taken good care of by their admins. They do not allow any spammy links or self-promo and some have other specific regulations, so always make sure to go through the group rules when joining a new group. A great example of how relevant content is more important than the looks. Reddit hosts one of the most active online SEO communities and the engagement in the most popular SEO subreddits is very high. Some people can be a little more grumpy here (which is probably caused by the anonymous character of the platform), so make sure to post your beginner questions into an appropriate thread (bigSEO subreddit, for example, has a special SEO beginner thread). Don’t get discouraged easily, because otherwise, it is a great place to find answers to your SEO questions. Another great platform focused on Q&A is Quora. Asking a question on Quora is extremely easy and besides that, the platform allows you to check or follow similar questions asked before. A great feature is the possibility to request the answer from the others. If you do not have any specific question, you can simply follow topics related to SEO or influencers and SEO experts answering the questions of the others. Although forums aren’t nearly as popular as they used to be 10 years ago, there are some survivors in the SEO niche that still bring relevant information and gather people who want to discuss the SEO-related topics. You can learn a lot from diving into the depths of these discussion threads, as sometimes, forums contain information you won’t find in any blogs or other sources. A professional community does not mean that only professionals can join. It means an awesome opportunity to surround yourself with the experts and absorb new information on a daily basis. LinkedIn Groups work the same way as other knowledge hubs, but the engagement tends to be lower when compared with other communities and they are often overflown with promo posts. Nevertheless, they are still a great place to connect with the SEO experts sharing their knowledge. A community of online marketers Inbound.org was founded by Rand Fishkin (former Moz) and Dharmesh Shah (HubSpot). It is a platform where you can share quality content and ideas, start discussions or ask questions. 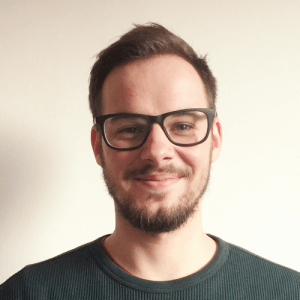 A very useful place to connect with people interested in SEO and find inspiration or answers to the questions that bother you. The GrowthHackers Community works on a very similar principle as Inbound.org. You can browse through different categories, post articles, and ask questions about anything related to online marketing, including Search Engine Optimization. There is plenty of knowledge hubs where people from the SEO community share their thoughts, interesting content and help each other. It is definitely worth a shot to try more of them and see which work the best for you. If you know about other SEO-related knowledge hubs we forgot to mention, let us know in the comments section! 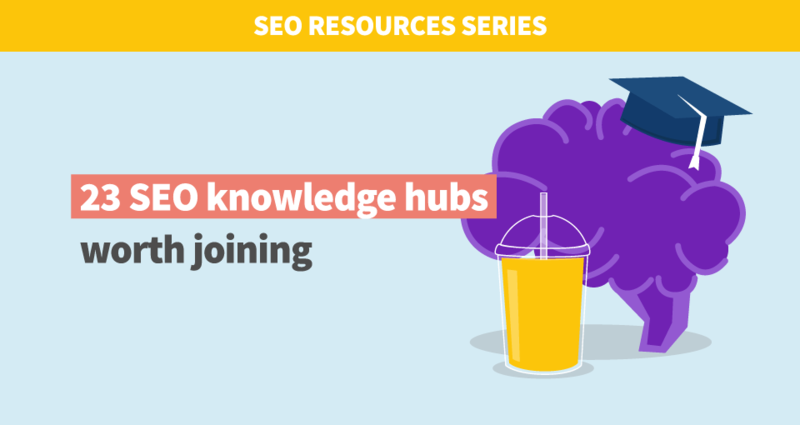 Did you like our list of SEO knowledge hubs? Tweet about it! Check out these 23 SEO knowledge hubs worth joining! Do you have other favorite community/group/forum/platform you use to stay in touch with other SEO geeks and get help when Google is not enough? Feel free to share!